Its unique self centering design makes Quick Chuck the simplest, quickest and most precision brake lathe adapter for machining Hub-less Drums, Rotors and Composite Rotors on any 1” arbor brake lathe while eliminating run-out and set-up problems. 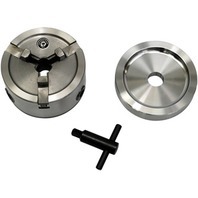 The weight and mass of the Quick Chuck with Backing Plate virtually stops Chatter and Vibration in its tracks. 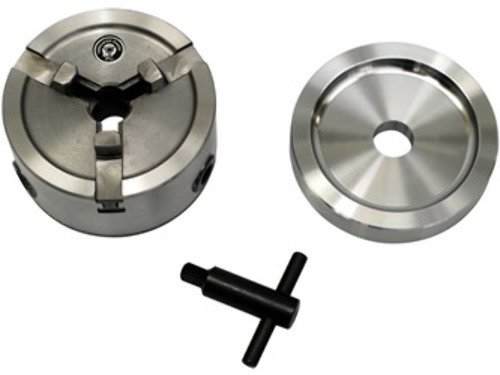 The Quick Chuck, with all optional, Accessories allows machining of Drums and Rotors with centering holes from 2-1/8” to 5-3/4” from compact cars up to 1-ton trucks. 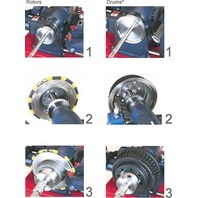 Fits all popular 1” arbor brake lathes. 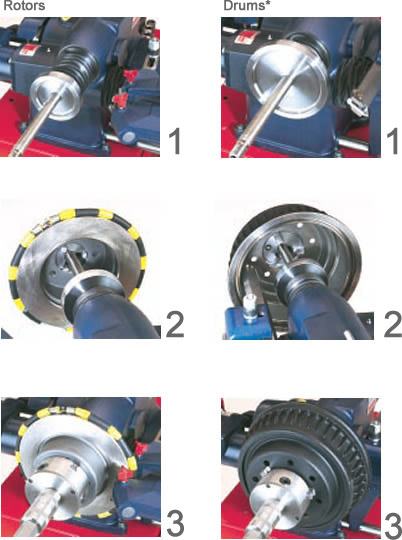 Eliminates centering cones, clamping cups and composite adapter systems. 75% fewer pieces means less maintenance and minimal replacement costs.